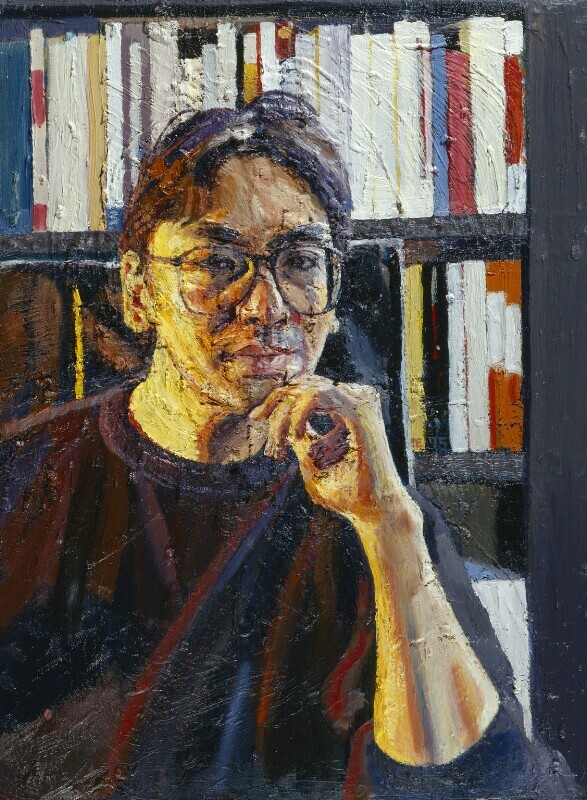 Sir Kazuo Ishiguro (1954-), Novelist. Sitter in 5 portraits. Commissioned by the Trustees as part of the first prize, BP Portrait Award 1994. Nick Leeson is imprisoned for four years after he is found to have hidden $1.4 billion in debt. Leeson acted as a 'rogue trader' by dealing in futures and options on the Tokyo stock exchange without the authority of Barings Bank who he was working for. After an earthquake in Japan the market took a massive downturn and Barings - Britain's oldest bank - went bankrupt. Two classic Britpop singles fight for the number 1 spot when Blur releases Country House on the same day as Oasis's Roll With It. Although Blur sold more copies of their single, Oasis eclipsed them when their album (What's the Story) Morning Glory became the forth best selling UK album of all time. Jonathan Edwards breaks the world record for triple jump twice in once day. Over 8000 Bosnian Muslim men and boys are murdered by the Bosnian Serb army in the Srebrenica Massacre. The genocide was part of Serbia's ethnic cleansing campaign to remove the Bosniak population from the Serb Republic. It was the largest mass-murder in Europe since World War II. 12 people die, and 54 are seriously injured when members of the Aum Shinrikyo cult release Sarin gas into the Tokyo subway.